Diving can transform lives. It so happened to Peter Bowker, a British soldier and veteran of the Afghanistan conflict. Peter was injured by a road bomb in late 2008 – losing his right leg below the knee and badly fracturing his right femur. However, Peter’s injuries did not stop him from pursuing new activities and adventures – he first began diving in Malta in 2012. The experience made him realise that diving was a career he wished to pursue. He made contact with Scuba Nation in Cambodia, a PADI 5 Star Instructor Development Center and having the opportunity to dive there for nearly 2 months, completed the PADI Advanced Open Water and Rescue Diver courses. He then enrolled in the PADI Divemaster course. In early 2013 Peter completed a Disabled Divers instructor course in London and went on to help the injured soldiers diving charity, Deptherapy in Florida, USA. Deptherapy help to rehabilitate injured UK service personnel and US marines suffering from physical injuries and post-traumatic stress. The organisation has noticed that using scuba diving as a rehabilitation tool is very helpful and encourages many aspects of healing, both physically and mentally. Peter organised to return to Scuba Nation, Cambodia and in July 2013 completed the PADI Instructor Development Course – followed by the PADI Instructor Exam held in Bali. Gerard Leenen, PADI Course Director from Scuba Nation in Cambodia – who first met Peter in January and then tutored him on the PADI Instructor Development Course (IDC) recently, reports: “Peter is like a whirlwind of positive energy and charisma and is also mature for his years. Quite open about what happened to him in Afghanistan and his military career, he constantly surprises with his positive attitude. From the first IDC presentation I gave, Peter was a strong candidate and sometimes very funny. He always stands at ease when you talk to him and we constantly had to remind him he was not in the army anymore! Peter was a great student – and a pleasure to teach as he wanted to absorb all the information given. We are very proud to have been able to teach Peter to become a PADI Professional and to see first-hand that diving truly can transform people’s lives. What highlights do you recall from the PADI Instructor Development Course (IDC)? Highlights of my PADI IDC include teaching in open water for the first time as I found it both challenging and rewarding. I remember one dive in particular where visibility was less than half a meter with a current. I found this especially enjoyable due to the added challenge of controlling a group in a difficult environment, whilst conducting the Controlled Emergency Swimming Ascent (CESA) exercise. What do you most enjoy in your day as a PADI Instructor? The most enjoyable aspect of my day is the sense of pride I have when telling people of my career. I enjoy taking people from their first tentative steps into diving to being confident divers. What is one of your favourite memories in your diving career so far? Whilst teaching an injured soldier in America who had lost his right arm, a large turtle swam right up to me which was an amazing moment. What words of advice would you give to divers who are considering becoming professionals? There are a million excuses not to, but you only need one ticket to open the door to amazing opportunities. My goals are to become the first injured soldier to become a technical diving instructor, in addition to teaching other NATO injured soldiers how to dive to help them overcome the psychological and physical injuries of war. Another goal is to summit Everest in 2016 with Summit for Heroes and to be the first amputee to cross Greenland with Heroes Challenge UK. Says Rob Scammell, the PADI Instructor Examiner who conducted Peter’s Instructor Exam in Bali, “Peter is an inspiration to us all. Throughout the IE he proved himself to be a great team player and motivator for his group. Peter is a shining example of how diving can change our lives and present us with new opportunities and challenges”. PADI would like to take this opportunity to congratulate Peter on his significant diving achievements and we wish him every success in achieving his goals. 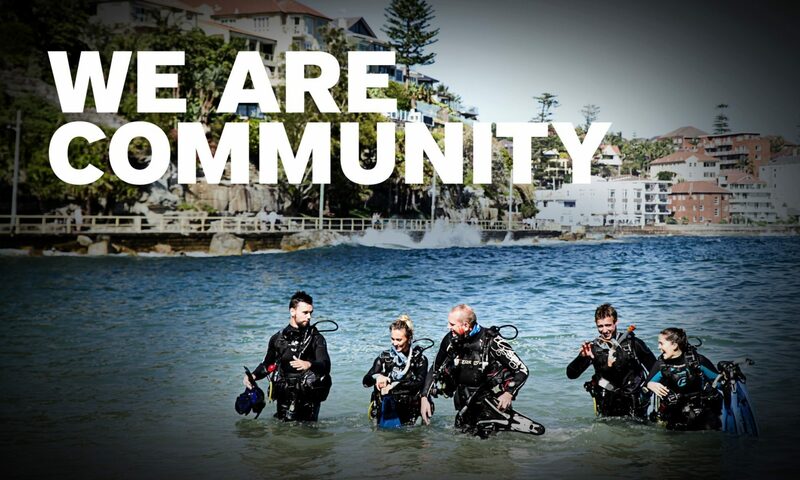 Next PostNext ScubaEarth hits 50,000 users!